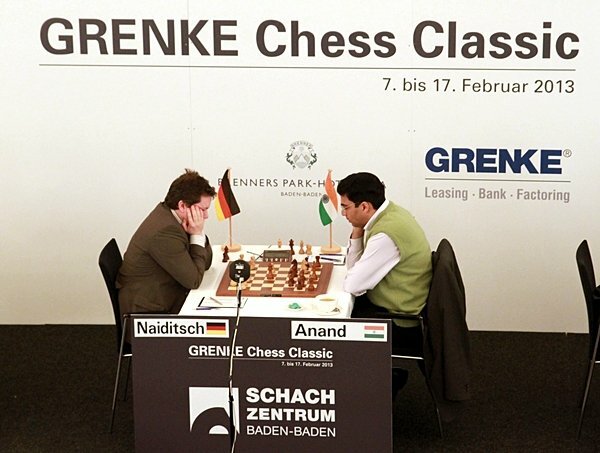 The GRENKE Chess Classic starts on Monday and will see Magnus Carlsen and Viswanathan Anand meet for the first time since their World Championship match in Sochi. 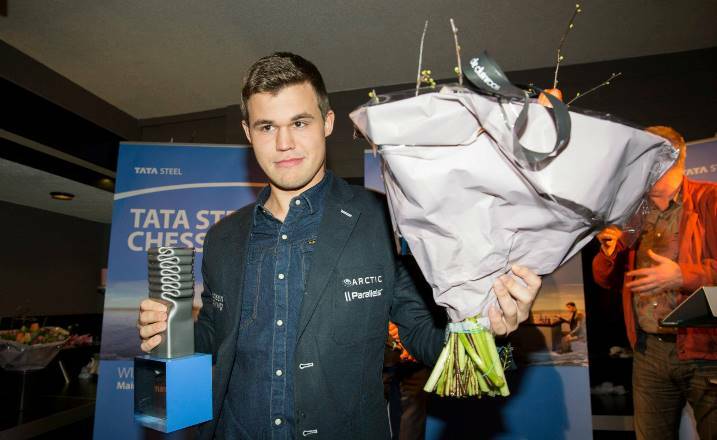 Carlsen is fresh from winning the Tata Steel Chess Tournament in Wijk aan Zee and may have another goal in his sights – matching the lifetime supertournament victories of Vladimir Kramnik and Viswanathan Anand. Tarjei J. Svensen takes a look at Carlsen’s remarkable stats. How dominant is Carlsen in the world of chess? 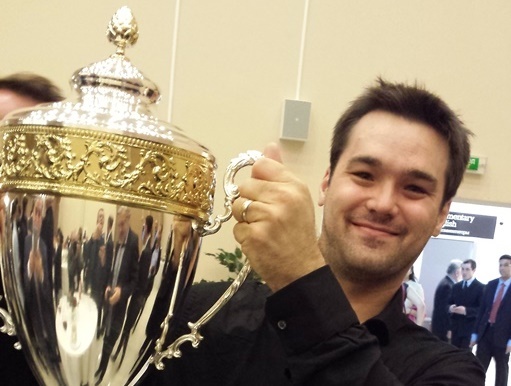 It’s been less than a week since the Tata Steel Chess Masters ended. The reigning World Champion Magnus Carlsen finished on 9/13 to win one of the chess circuit’s most prestigious events for a 4th time. Surprisingly, it was Carlsen’s first tournament win in almost a year, with his previous victory coming in Shamkir, Azerbaijan at the end of April. Just two months later the World Champion had to settle for 2nd place behind Sergey Karjakin in Norway Chess. In Carlsen’s next closed event, the Sinquefield Cup in St. Louis, Fabiano Caruana cruised to victory with his historic seven out of seven start. The Norwegian once again had to settle for 2nd place, but this time he was three (3!) full points behind the Italian. 26 tournaments in total, excluding rapid/blitz, team events and matches. Carlsen has won 17 of those 26 tournaments since Wijk aan Zee in January 2010. That’s a win rate of more than 65%. If you include London, Moscow and Nanjing in the second part of 2009, Carlsen has won 19 of the last 29 tournaments he’s taken part in. The nine tournaments that Carlsen didn’t win in this period were won by Caruana, Karjakin (2), Kramnik (2), Hao Wang, Gelfand, Aronian and Nakamura. Carlsen has won a total of 22 supertournaments in his career. But how do you define a “supertournament”, and how does his record compare to that of other leading modern players? Any closed international event with at least two players who have been in the top 10 in the last year. Blitz, rapid, matches and team events are not counted in the statistics. Note that the numbers in this list have not been completely verified. We can not guarantee that there are no mistakes in it. If you see anything, let us know in the commentary field. With the GRENKE Chess Classic starting on Monday that means Magnus Carlsen, at 24 years of age, can equal Vladimir Kramnik and Viswanathan Anand’s 23 supertournament wins. Or can Anand, playing both in Baden-Baden and Zurich, take it up to 25 wins and stay in the lead among today’s top players? Or will Kramnik finally win a chess event again in Zurich? Tarjei is a keen amateur chess player, arbiter and organiser who, with the rise of Magnus Carlsen, quickly became indispensable as the interpreter of all things Norwegian. He commentates on chess for Norwegian TV and is a must-follow on Twitter. You can watch all the games from the GRENKE Chess Classic here on chess24 with Jan Gustafsson hosting the commentary live from Baden-Baden. Games start at 15:00 CET, with more information available on the official website.